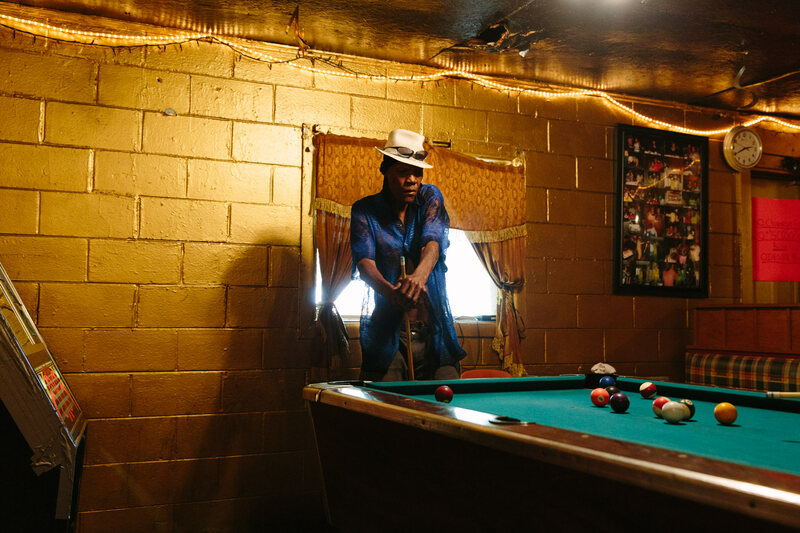 Melvin Williams, 64, plays pool in Odessa's Place, a small one-room bar in the impoverished Baptist Town neighborhood of Greenwood, Mississippi. Odessa Nicks, 85, opened the bar in 1963 and has kept it going in old age so that she remains occupied. Williams pays $200 a month in rent to live in an apartment directly behind the bar.